Project partner of OpeNER. Currently there is plethora of companies offering online Sentiment Analysis (SA) services; the majority are generic and monolingual. 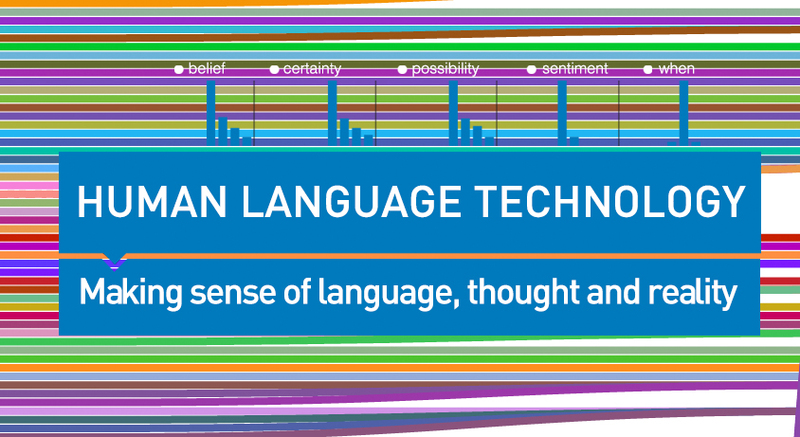 SA is a complex field at the edge of current state of the art in NLP. Two key elements are Lexical Resources and Named Entity Recognition and Classification (NERC). Both elements allow for the measure of “what” about “whom”. Building tools and resources for Opinion Mining (OM) is expensive. These basic technologies for OM that are a fundamental to market qualification for enterprises offering OM Services are costly to develop. OpeNER proposes the reuse and repurpose of existing lexical resources, Linked Data and the broader Social Internet. OpeNER will focus on ES, NL, FR, IT, DE and EN, and create a generic multilingual graduated sentiment data pool reusing existing language resources (WordNets, Wikipedia) and automatic techniques. The Sentiment Lexicon will supplement popular or proprietary Lexicons. The Lexicon will be expressed in a new mark-up format. Multilingualism and cultural skew in OM increases complexity. The sentiment values will be culturally normalised to allow a “like-for-like” comparison. Tools for extension to other languages and domains will be provided. Fine-grained NERC which is critical in SA will be addressed. NERC will be done by “Wikification” and Linked Data. Extensions to the generic OM system will be created for validation in the Tourism domain with partner SMEs and an End User Advisory Board. OpeNER will also create an online development portal and community to host data, libraries, APIs and services. Task focused on implementing models to ensure the long-term self-sustainability and options for Open Licensing are included. It will provide base qualifying technologies and a means for continued development and extension to other languages and domains, freeing SMEs to concentrate on their efforts providing innovative solutions to meet market needs rather than expensive development of core technologies.